The Rob Papen RP-Verb was launched way back in 2009, serving as one of the stepping stones for Rob Papen, which was making its way from a soft-synth company to a fully-fledged production effects maker. At the time, the plugin was very well-reviewed. All Things Gear didn’t exist back then, but the likes of MusicRadar gave it a hefty 4.5/5 stars — and I personally have been using it as a go-to reverb for a few years now. 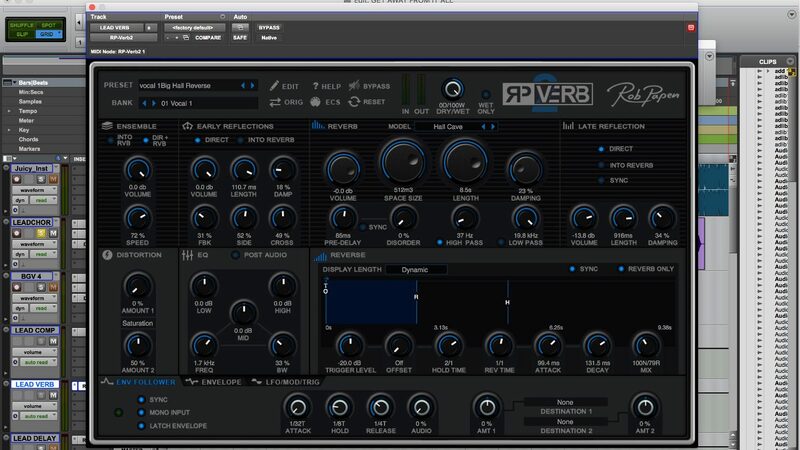 Now, the company is finally back with a follow-up — the Rob Papen RP-Verb 2. Of course, the plugin isn’t overly cheap. Sure, it’s not expensive, but if you’re going to drop $149, you’ll probably want to have a good idea of what you’re getting yourself into. So is the Rob Papen RP-Verb 2 worth buying? We put them to the test to find out. The first thing you’ll notice about the Rob Papen RP-Verb 2 is its design, and it’s not for the faint of heart. The plugin itself looks great — we love that Rob Papen stuck to the black design with blue highlights, and the user interface itself looks well put together. So why do I say it’s not for the faint of heart? There are a ton of controls. Of course, for those that know what they’re doing, that’s a good thing. The original RP-Verb was no different either — it was built for audio professionals who needed a reliable and customizable tool that they could use to achieve the perfect sound. For that reason, the complexity of the interface isn’t a bad thing — amateurs should just look elsewhere, although getting to learn a reverb like this could come in handy down the line. Controls are split up into different sections. You’ll get a section for early reflections, one for the reverb itself, one for “reverse” reverb, one for EQ, distortion, and so on. Of course, you’ll also get your standard controls for things like dry/wet control, and the main volume of the output signal. If you used the original RP-Verb, you’ll notice a few new features in the follow-up — including new envelope controls and an LFO. It would be untrue to say that the Rob Papen RP-Verb 2 is “easy to use” in general, but it wouldn’t to argue that it is easy to use for the amount of controls that it has. There aren’t hidden tabs or extra controls that are tucked away — what you is what you get, and in this case we think that’s a good thing. There is a caveat here — this plugin probably isn’t the best choice for quickly dialing in an average verb on a rough mix when you’re recording. This is for those who want to get surgical and create the perfect verb sound. Of course, the design of a plugin comes second to sound, but as you would expect from a Rob Papen plugin, the RP-Verb 2 sounds great. That’s partly owed to the fact that you can control every single aspect of the reverb you might want. There’s also a massive range of hundreds of presets you can choose from, and it might be worth going through some of them to find a good starting point for the verb you’re ultimately trying to create. There are controls beyond simple reverb options. You’ll also get quite a bit of control over things like modulation and the overall tone of the verb. Even the included EQ is pretty intense — not only does it let you control lows, mids, and highs, but it also allows you to set whether or note the EQ is applied pre or post verb. Speaking of modulation, you can use MIDI to control different modulation parameters, which can help seriously change the overall sound of the reverb. To assign parameters, all you have to do is right click and select “latch to MIDI,” after which you can move the desired control. This is super helpful for automating the plugin. You can also save your MIDI controls, so you don’t have to reassign them on every new project. The sound itself is certainly digital, but that’s not necessarily a bad thing — in fact it might be something that you’re looking for. Some prefer the warmth of a classic analog verb, and indeed there is some attempt in the RP-Verb 2 to recreate that, to an extent. But in the end, the RP-Verb 2 is built as a digital verb, and that’s where it shines. The Rob Papen RP-Verb 2 is a tinkerer’s dream. Those looking for a reverb that they can seriously dive into to create the “perfect reverb” sound for any given project should seriously consider opting for the RP-Verb 2. It’s well-designed, sounds great, and offers tons of control over every little aspect of the reverb. It’s a worthy upgrade over the original too — while $150 is a little steep for a reverb, you’re paying for a way to get ultimate control over your reverb’s sound — and that’s an attractive sell. There are situations in which not to buy this plugin. If you’re just starting out, want something you can set and forget about, or are looking for a warm “analog” sound, then this probably isn’t the plugin for you. 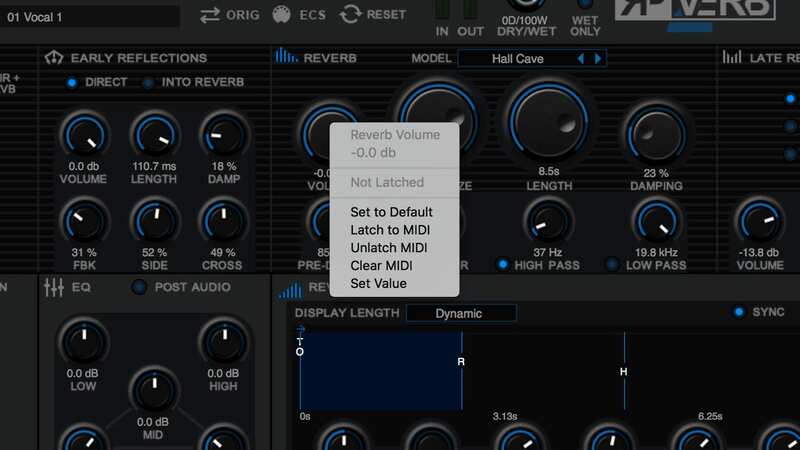 Everyone else, however, can pick up the Rob Papen RP-Verb 2 for themselves using the links below.